Clothing is power. Your carefully selected (or mindlessly thrown on) ensemble goes hand in hand with the industries that provide them. Industries that, in many countries around the world, are supported by the governments above them. Canadian designers need to be backed by a council that will promote the industry as an art form worth fighting for. Most fashion shows end the same way. The designer emerges from backstage, and bows amidst steady applause for the aesthetically pleasing and mind-numbingly tedious feat that was their collection. But if you flashback to before the first model of the night walked the catwalk, before the first embellishment on the first tulle skirt was attached, before the great muse that inspired each ensemble was discovered, there was a young designer who aspired to watch models sashay down the runway wearing clothes that were conceived from his or her own sketches. Granted, this all sounds very dreamlike. But the reality of the fashion industry is that it is one which requires money, and lots of it. In last week's blog post, Nabenah Johnson discussed the lacklustre climate of today's Canadian fashion industry. But in certain countries worldwide, the same industry is more like a sunny summer day. Any student in any discipline likely feels the financial burden of post secondary education. They dread the daunting task of landing a job in their field after spending thousands of dollars to be educated, and find little comfort in entering the terrifyingly obscure entity known as the work force. These fears are only worsened for young people committing their futures to a career in fashion. It is an industry where most start out with only themselves and their sewing machines. Only the best truly thrive, and the journey to the top is more of a marathon with an unending 80 degree incline. But then it happens; as the young designer gazes up towards their looming uphill battle, a national fashion council steps alongside them to lighten the load. The Council of Fashion Designers of America (CFDA) is a national not for profit organization in the United States that exists to "strengthen the impact of American fashion on the global economy". The CFDA was founded in 1962 by Eleanor Lambert, a publicist and advocate for the growth of the American fashion industry. Its members boast over 500 of the country's top designers, with the board of directors including names like Diane Von Furstenberg, Michael Kors, and Vera Wang. The CFDA has a very impressive and extensive resume; it hosts the coveted CFDA Fashion Awards, and New York Fashion Week, which is one of the biggest events in the business. On top of all of this, the CFDA is committed to the education and support of hopeful design students. Since its establishment, the CFDA scholarship program has donated over $1.3 million dollars to students in design programs through merit-based grants. Not only are these students offered financial support and resources, but also assistance when transitioning from a post-secondary to a professional lifestyle. Such dedication to the fashion industry through a national fashion council is not an uncommon practice. Other clothing capitals have taken it upon themselves to govern the garment business, validating its existence as both an economical contributor, and a guiding force within the arts and culture sector. 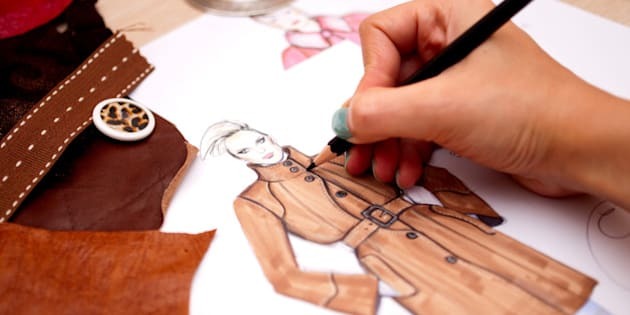 Britain is home to the British Fashion Council (BFC), while France boasts the French Federation of Fashion and of Ready-to-Wear Couturiers and Fashion Designers. Through funding, education, and promotion, national councils have truly sculpted designer labels as a culture of their own, as populations unite within a common appreciation for the art of fashion. Fashion must exceed an unjustified and flamboyant obsession with Prada and $400 shoes. Fashion is a lifestyle, whether you are a fad follower or an anti-labelist. A supermodel or a construction worker. Regardless of the life you lead, and the role that clothes play within it, you decide what you wear every day. That in itself speaks volumes to the importance of fashion, no matter who you are. Maybe, just maybe, the first step to transforming the perception of fashion in the eyes of today's Canadians would be the development of a national fashion council, right here in the land of the free.